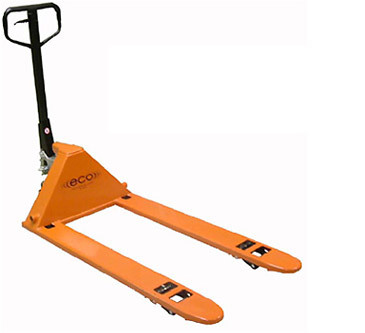 ECO "MO" Super Low Profile Truck - MOBILE INDUSTRIES INC. :: Material Handling Tranport, Lift and Warehouse Equipment. 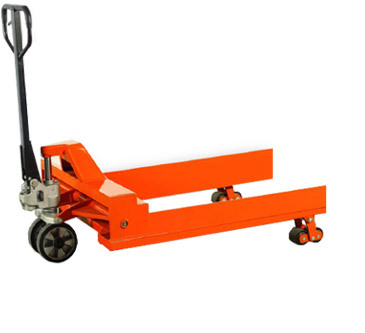 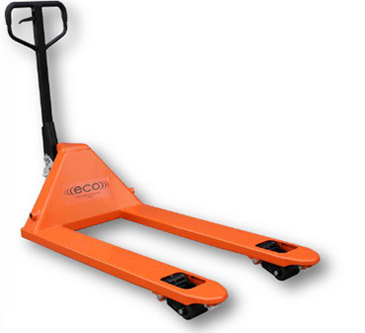 The ECO MO Low Profile Truck features an extra low 1 3/8″ lowered height for applications that standard Pallet Trucks are unable to handle. 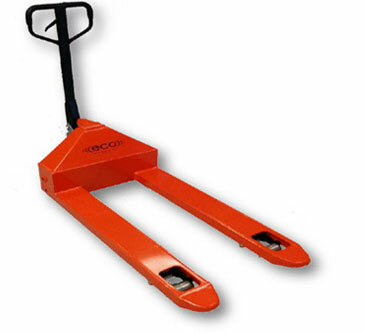 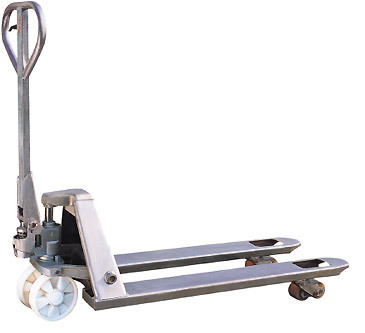 With 21″ or 27″ wide forks, the ECO ‘MO’ is designed to handle loads with extreme entry height restrictions; offers 200 degree handle pivot for exceptional manoeuverability in compact areas; comes with standard polyurethane wheels and steel rollers for rolling ease; features a powder coat finish; robotic welds throughout; and grease fittings at all pivot points for easy maintenance.